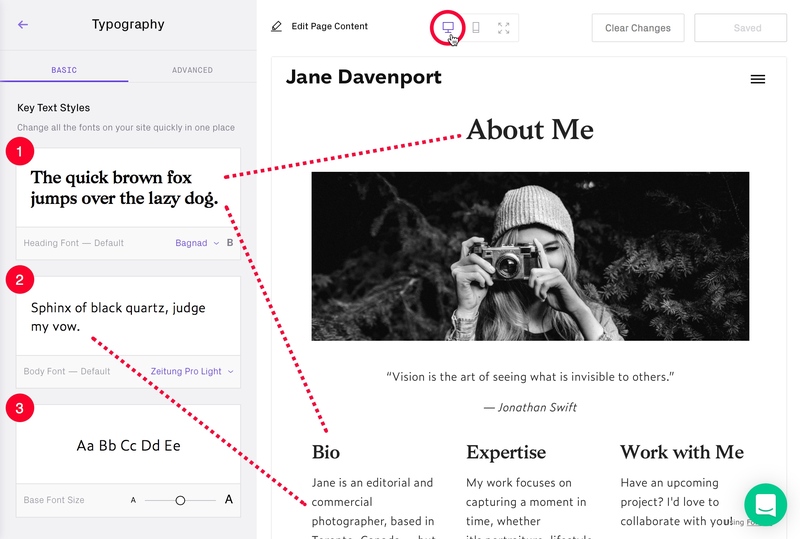 Your website's fonts can be changed easily using the Basic Typography Editor panel. This allows you to set your default Heading Font, Body Font and the Base Font Size. 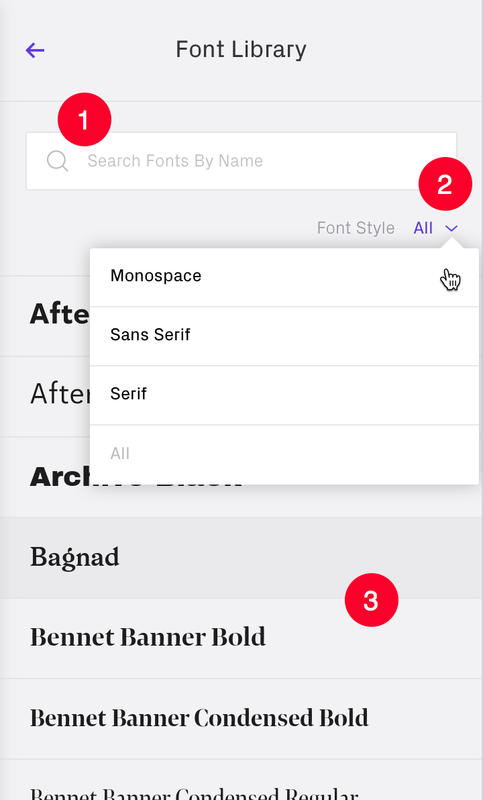 Tap the 'Typography' panel in the Design editor to activate. The default setting is the BASIC panel. Changes made to the Key Text Styles will be visible in the Preview panel. Base Font Size: visible slider for setting the initial size. View different pages and content of your site. 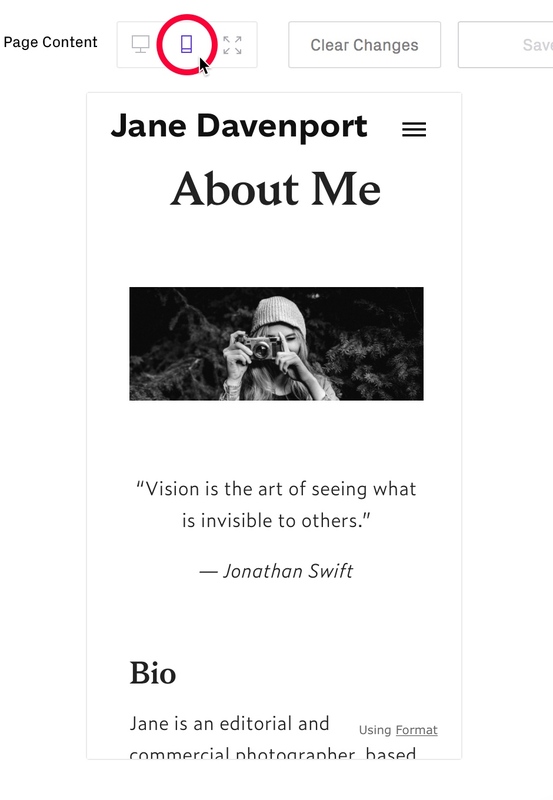 Desktop, Mobile (above) and Fullscreen Preview options are available. Browse our extensive Font Library. 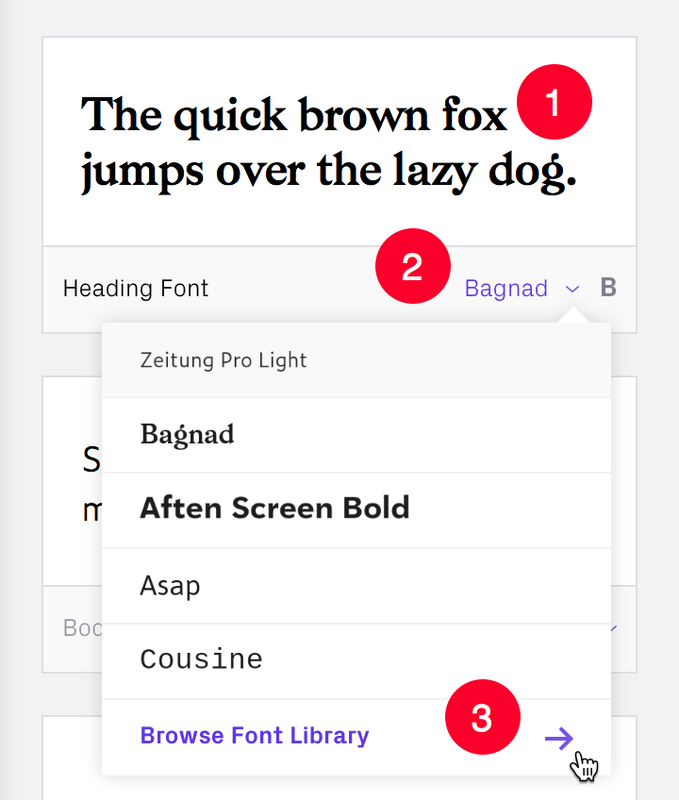 The font selected will be updated in the Preview pane. 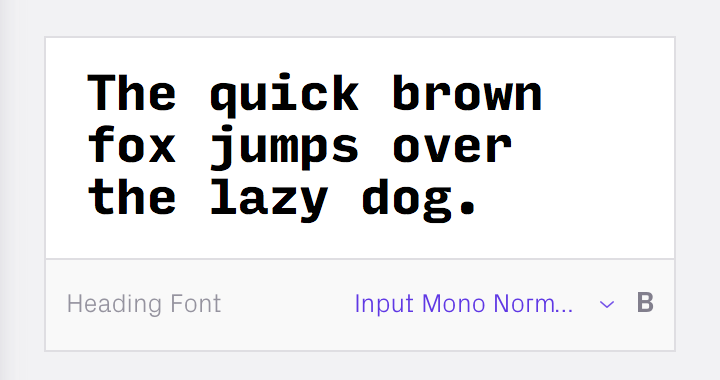 Use the slider to set the base font size (smaller/larger) for all font styles. 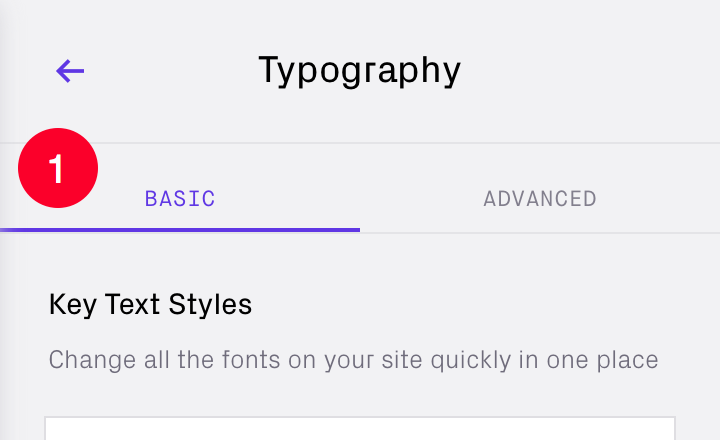 Now that you have selected your Key Font Styles and the Base Font Size you can customize all font style and sizes further. Please view our Advanced Typography Editor guide.